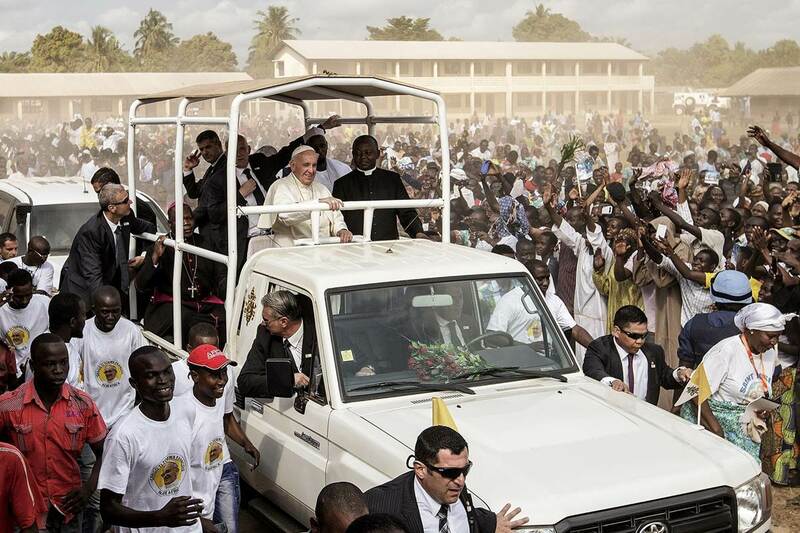 Pope Francis went to Africa in November, 2015. 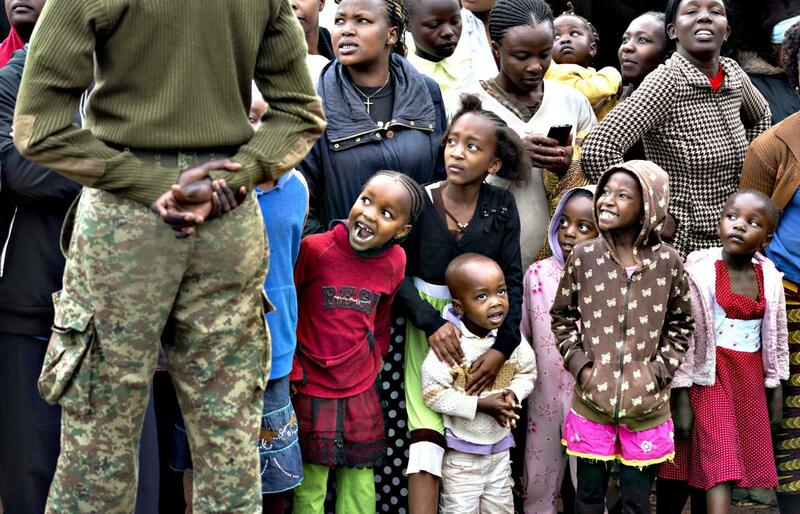 His first stop was in Kenya. 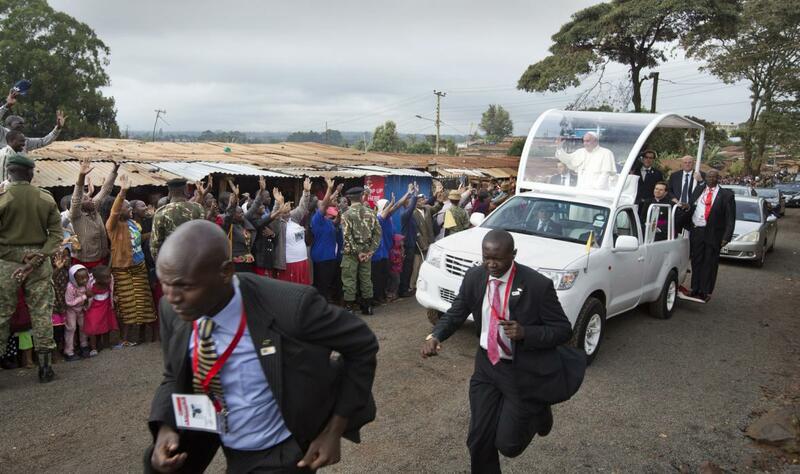 His plane landed in Nairobi, the capital of Kenya. 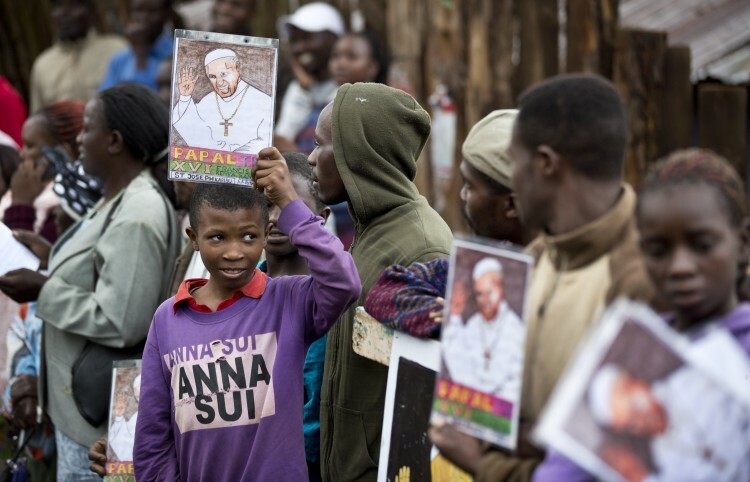 There were many people waiting to see the Pope including priests, Maasai people, and dignitaries like the President of Kenya. 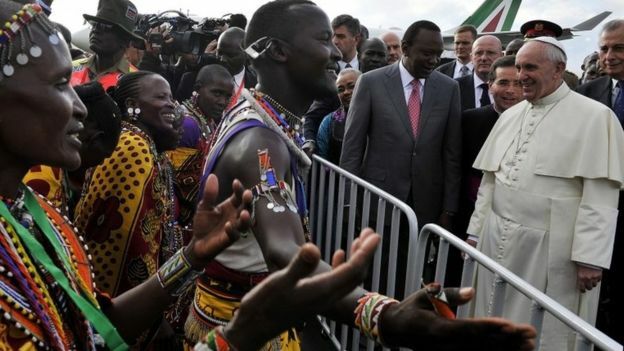 “Pope Francis has called for ethnic and religious reconciliation after arriving in the Kenyan capital, Nairobi, at the start of his landmark three-nation Africa trip. 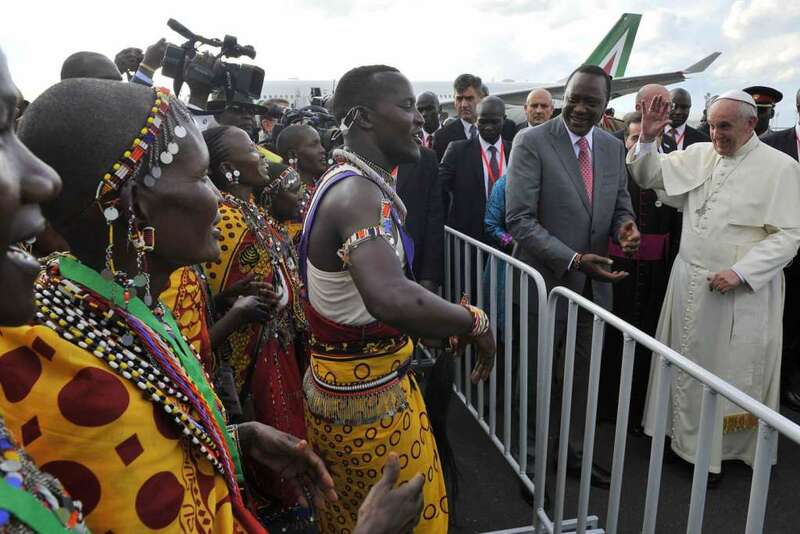 People from the Maasai tribe greeted the Pope with singing and dancing. 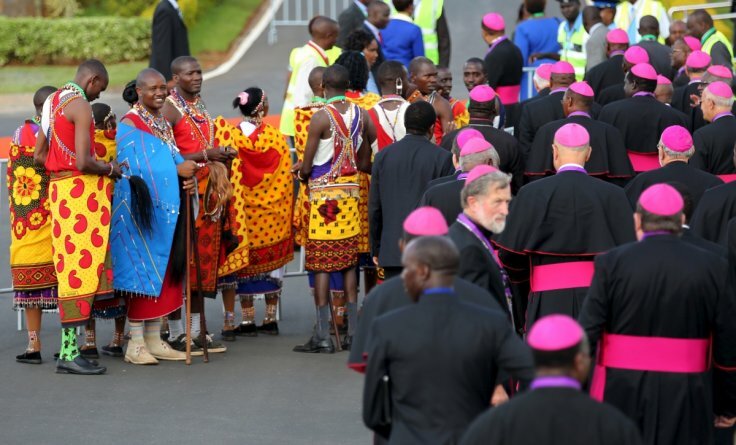 The Maasai wore traditional costumes that are for special occasions. 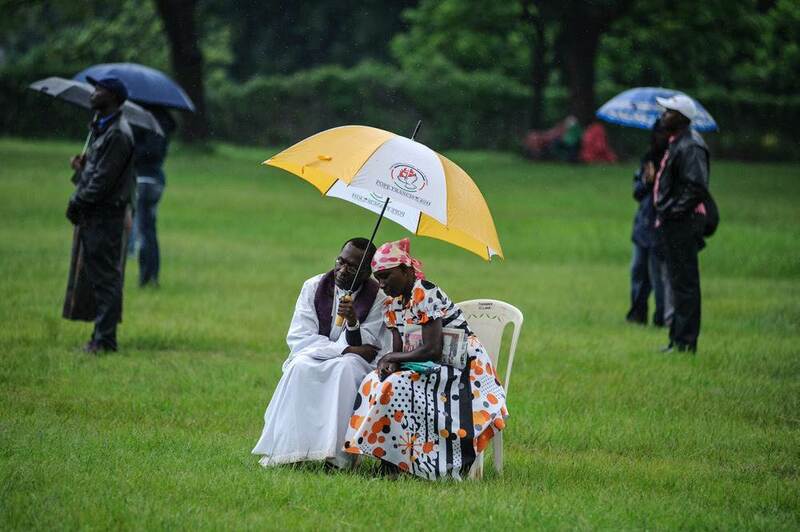 Kenyans listen to Pope Francis’s holy mass on Nov. 26, in Nairobi’s Central Park. 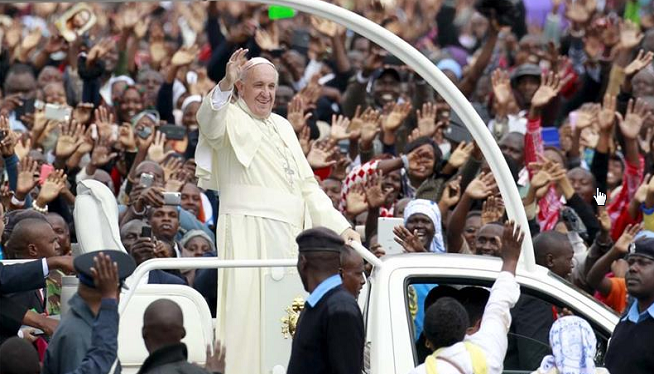 Pope Francis held his first open-air mass in Africa with huge crowds calling heavy rains “God’s blessing” as they sang and danced in the Kenyan capital. 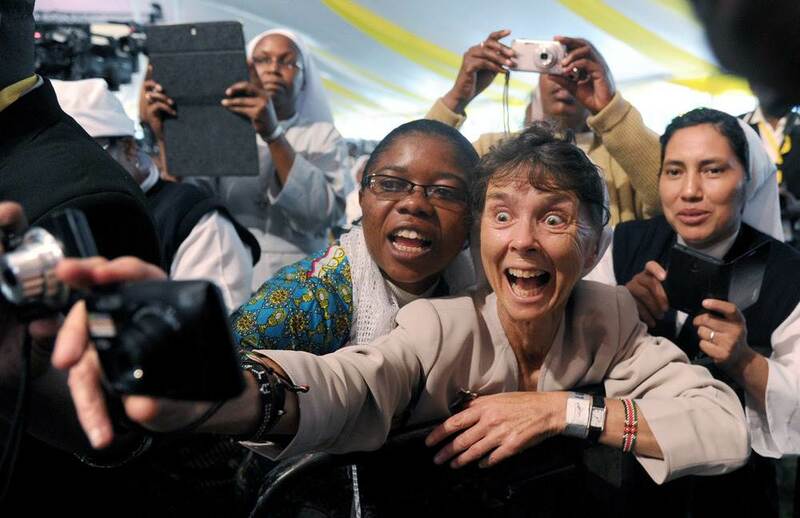 “I’m so happy, we are so blessed,” said Magdalene Mwikali, 36, of Kangemi. 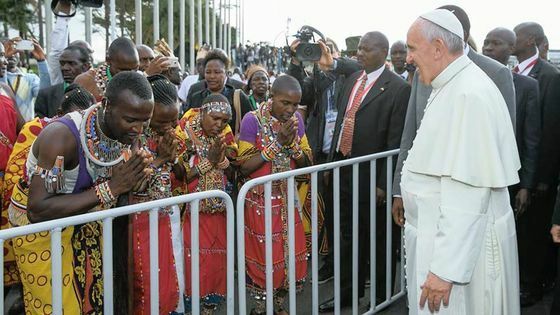 “Pope Francis waded into the heart of a Kenyan shantytown Friday, spreading a message of acceptance and lashing out at the nation’s elite for neglecting the poor. 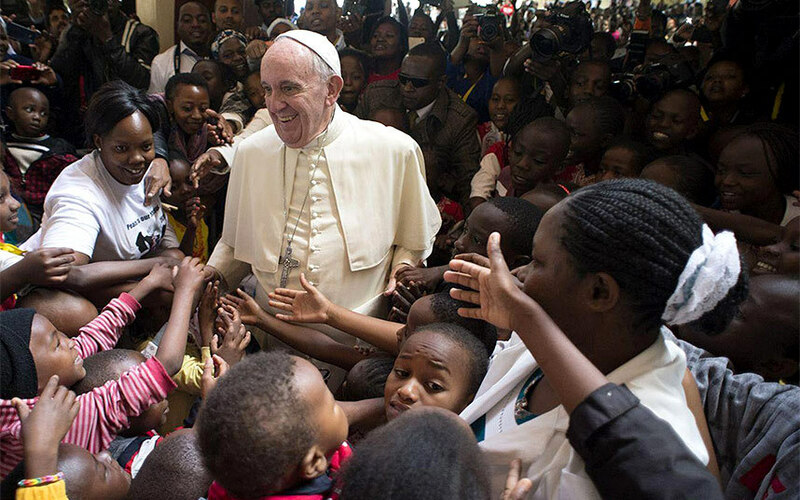 Francis’ visit to Kangemi aligned with his message of service to the poor during his three days in Nairobi. 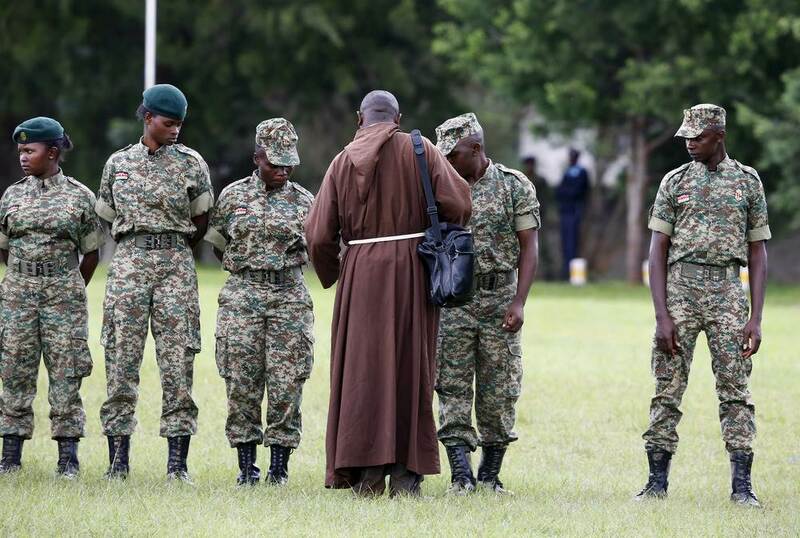 The “dreadful injustice of social exclusion” leaves the poor with an unfair distribution of land, lack of access to infrastructure and minimal basic services, he said.